Create your website with booking engine and start accepting online reservations and payments. We give you everything you need to start a successful online business. Want to start accepting reservations from your website? 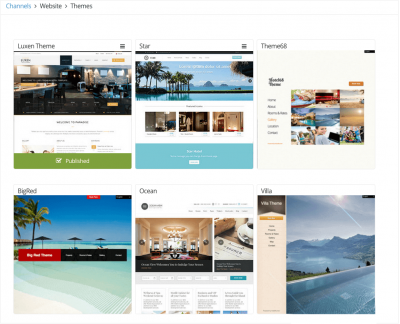 Start by choosing from ready-to-use professional looking HotelRunner Themes designed specifically for hotels, motels, bed & breakfasts, short term rental apartments, inns and other types of accommodation websites. Customize your site’s design: Upload a logo, add your content, change your site’s appearance and more. You have full control. Your website is has a built-in booking button and a reliable online payment infrastructure. 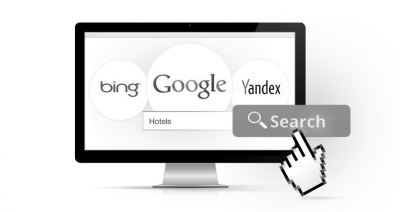 Using this integrated booking engine, you can sell your rooms and accept payments all from one website – your website. Add your room types and rates; upload photographs, write room descriptions, enter the room details and amenities. Promote what makes your offerings unique and special. Manage your direct reservations and vacancies with ease. Inventory management combined with HotelRunner’s powerful rate manager make managing your inventory a breeze. HotelRunner takes all the hassle out of accepting secure credit card payments online, integrating a variety of payments systems, including PayPal, onto your website. HotelRunner takes care of all the technical stuff, so you can focus on starting your online business and selling online. Our system is always online, secure, continually backed up and updated automatically. Your website can be in any language. HotelRunner supports up to 84 languages, 159 currencies, and local tax rates. Guests can see prices in their local currency with real-time conversion rates. This way, you can market in as many countries as you want. 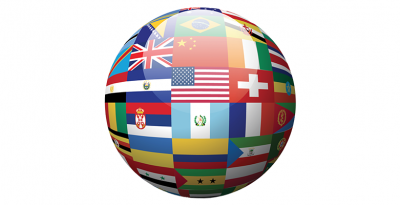 You can translate all the content of your website into any language. You also have the option to get your content translated using professional translation services provided by HotelRunner.